Anticipating intent and improving your customer experience is easy with the right use of AI. 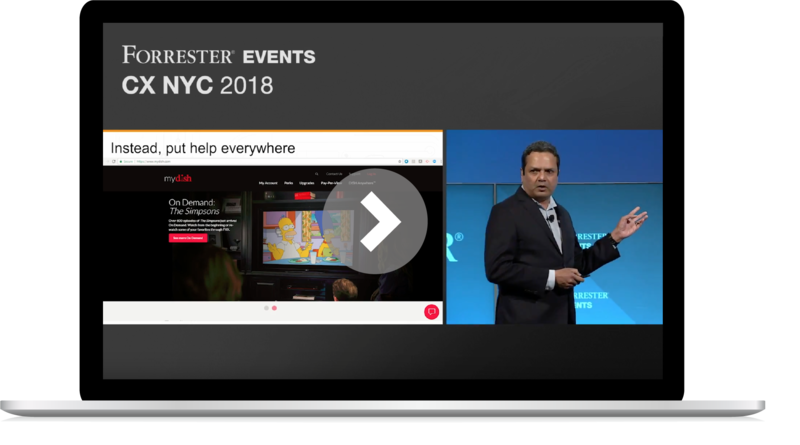 In this Forrester CX NYC keynote presentation, PV Kannan and DISH Network's Lucky Rai explain how chatbots and machine learning can be used to streamline customer experiences, and create memorable moments that drive company growth. Here’s a short preview of the presentation. To get access to the full presentation, fill out the form. Lucky Rai leads the Digital Engagement team as a part of the Customer Experience Operations (CXO) group and has been with DISH since 2012. This team is responsible for delivering digital experiences for DISH customers through intuitive self-service journeys on the web, app, set-top box and phone. Additionally, the team is also responsible for providing CRM and knowledge tools for call center agents facilitation of customer service. Lucky holds a MBA from the University of Denver as well as a degree in Political Science from the University of Colorado. PV Kannan is the co-founder and chief executive officer of 7.ai, a global leader in intent-driven customer engagement solutions. PV co-founded 7.ai in 2000 to make customer service easy and enjoyable for consumers and has been a pioneer in integrating technology with business process operations to improve all aspects of the customer experience. PV is a recognized leader in customer experience, from dramatically improving contact center operations; to developing a big data predictive analytics platform; to pioneering the use of A.I. in customer experience. He holds more than 30 patents (issued and pending), has written several articles that cover some of the key issues around A.I. and chatbots, and has been featured in several books, including “The World is Flat” and “That Used to Be Us” by Thomas L. Friedman.